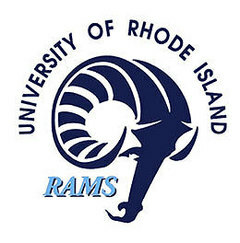 We have been invited by the University of Rhode Island Ram Marching Band to perform in their 8th annual BAND DAY. Our band will perform with the URI Ram Band and other high school marching bands during the half-time of their football game. The morning will be spent working with Dr. Brian Cardanay and working in sections with members of the University of Rhode Island Marching Band. The Rams are playing against the University of Richmond. Our Music Boosters will be providing lunch for our students on this day. Students may want to bring food/snacks to eat for the ride home. 10:00am - 11:00pm - Lunch. Our Music Boosters will be proving lunch for all band members. We will be using school buses for transportation and we will be performing in our uniforms. We will not, however, be performing our field show music. We will playing music arranged for the band day event. Please let me know of any conflicts.